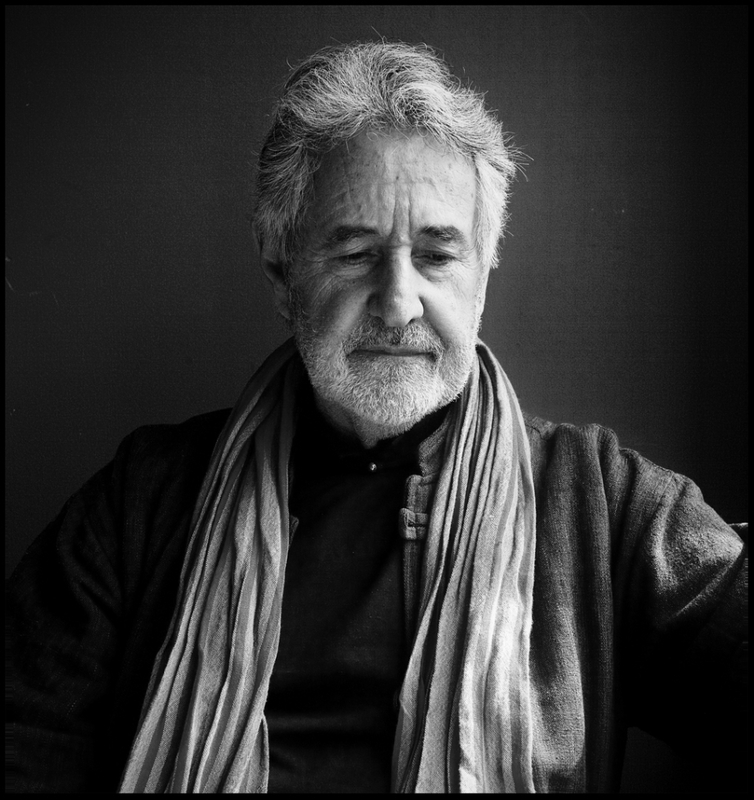 Breytenbach was an opponent of the apartheid regime, whose work represented a milestone in the development of Afrikaans poetry, formally and politically. His literary reputation is international, with work having been translated into Dutch, English, French and German. Born on 16 September 1939 in Bonnievale, near Robertson in the Cape, Breyten Breytenbach completed his schooling at Hoërskool Hugenoot in Wellington, Cape. He began his tertiary studies at the University of Cape Town in 1958. His opposition to apartheid saw him leave South Africa for Paris in 1960. In 1962 he married Yolande Ngo Thi Hoang Lien, a Viëtnamese national. His first published work, in 1964, Die Ysterkoei Moet Sweet (The Iron Cow Must Sweat), broke new ground in Afrikaans poetry as “powerful and startling ideas are presented without the use of traditional rhythmic metres and attractive images” (Joyce). In 1961 he settled and became prominent in the sestigers movement of dissident young Afrikaner writers. When Breytenbach returned clandestinely to South Africa in 1975, he was swiftly arrested. He pleaded guilty to entering South Africa to start an organization, Atlas or Okhela, intended to be the white wing of the ANC. Charged with treason under the draconian Terrorism Act, he was sentenced in the Pretoria Supreme Court to nine years in prison. Even while in prison Breytenbach was prolific, writing five volumes of poetry and English prose. An example is his prison memoir Confessions of an Albino Terrorist (1980). After his release in 1982 he left South Africa for France and became a French citizen. He won the Rapport's major literature prize of R15 000 in April 1986 for his volume of poetry. His 1989 novel Memoire de Pousiere et de Neige (Memory of Dust and Snow) is a brilliant political analysis of the various anti-apartheid movements in South Africa, a truculent, thinly veiled autobiographical account which has been described as having a ‘dense style'. The moving prose of his autobiographical Return to Paradise brought a new focus on this extraordinarily gifted Afrikaner's conflict of love and hate for his roots. In December 1993 Breytenbach ”” still living in self-imposed exile in Paris ”” paid a visit to the ‘new South Africa'. This visit contrasted sharply with the fiasco of his furtive return in 1975, the catastrophe of his arrest, excruciating ‘show trial', and the two years spent alone in a cell directly adjoining Pretoria Central's death row. Resident in Paris, he currently divides his time between Europe, South Africa and the USA, mostly writing and lecturing. In January 2000 he began a three year period in the Graduate School of Humanities of at the University of Cape Town as a visiting professor in the departments of English and Drama. He has taught creative writing there as well as at the Gorée Institute in Dakar, Senegal and the University of New York. Breytenbach is also known for his paintings, many of which portray surreal animal and human figures, often in captivity. He has exhibited in many countries. • Joyce, P. (1989). The South African Family Encyclopaedia, Cape Town: Struik, p.58. • Sienaert, M. (2001).The I of the Beholder: Identity formation in the art and writing of Breyten Breytenbach, Cape Town: Kwela Books and SA History Online.